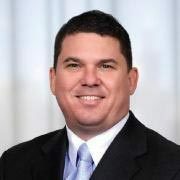 John Fanning is a Private Banker serving Morgan Stanley Wealth Management branches in southern Florida. John began his career in financial services in1992. Prior to joining Morgan Stanley in 2010, John was a Commercial Banker for SunTrust Bank and Bank United. John began his career as a finance manager for Merrill Lynch Business Financial Services before moving on to become a Financial Advisor for Morgan Stanley. John graduated from Florida Atlantic University in 2000 with a Bachelor of Science in Finance. He resides in Fort Lauderdale with his wife and family. Outside of work, John enjoys playing sports, seeing family and friends, and watching Marlins baseball.